I love Teddy's movement in the pocket, but there was an article this week or last that looked at how Case moved in the pocket, and it was really impressive - maybe better than Teddy. And a really small percentage of pressures leads to sacks for Case. Much below the NFL average (IIRC something like a third as many?). No negative plays in the passing game - huge advantage for this team. That said, I still think I'd rather go with Teddy long term than Case. Just my feeling. I can see why (8 in a row) you could feel differently though, because I'm a believer that QB's (but not necessarily their stats - see Stafford, Matthew) have an outsized effect on wins and losses. PurpleKoolaid wrote: Great speculation, its a free forum. How about a few facts? Like Teddy has NEVER seen this type of an offense, and its not because of Case. Its the new Oline, Pat Shurmur, and the receivers making fantastic plays. Or do you think Teddys Oline, OC, and receivers were better? How about a few facts? This is a serious question? Did you read the article? It's far from the first I've posted, but it's the best. Did you read it? What you've given aren't facts. The idea that Teddy would be doing just as well as Case is speculative opinion on your part. I've supported the idea that Case Keenum might actually be evolving into a pretty darned good quarterback with numbers, with film study, and with analysis. You want facts? READ. We can play this game all day. There is only one proof to me, and that's what happens on the field. If Case Keenum screws this up, I will admit I was wrong. At what point will you do the same? At what point will you stop attributing this man's success to his receivers, offensive line, coach, karma, luck and horseshoes? If he finishes the season 14-2 with 7 straight QBRs of more than 100, will you admit you're wrong about this guy? What's it going to take? I'm a Teddy guy. The guy is damn near a hero in my home town. I think Teddy has the ability to be the better quarterback. What he "might" be doesn't matter to me at this moment though. Not in 2017 because we don't have a "might" in 2017. What we have in 2017 is one of the best QBs in the league. What does it matter what Case was in the past? What Case is right now is one of the top QBs in the league. He's playing at Tom Brady levels - statwise he's playing better. Forget who it is, why would you bench anybody putting in games like he is? Just a question: (Not to take away from or disagree with your point) Why did they use the 36 game number as a 'benchmark'? I always get cautious when I look at stats and I don't know the rationale for the number(s) chosen. I think it's an analyst thing. Maybe a coach thing. It's what they say is an appropriate number of games to gauge whether a quarterback is going to be a dependable starter. Beyond that, I'm not sure. Right now, Keenum has started 34 games in his career -- he had 25 starts before he came to the Vikings. Teddy has started 29, including the playoff game against Seattle in '15. Part of the reason I am optimistic about Case's future is that he has gone through games 27-34 with steady (spectacular) upward improvement. I don't believe it's just luck. I believe it's progression. He went from mid-70s in Houston to about 80 with L.A. to over 98 with the Vikings. No doubt, I could be wrong. But until Case's play warrants otherwise, that's where my opinion is. And the more he plays well, the more my tolerance level for a sub-par performance grows. Even Tom Brady has bad games. But with Tom, you tolerate one bad performance because he's going to give you 10 brilliant ones. Case isn't at that level, obviously. But the more he plays well, the more my tolerance grows. One bad game -- keep him in there and see if he can bounce back. Two in a row, consider a switch. Cliff wrote: I'm a Teddy guy. The guy is damn near a hero in my home town. I think Teddy has the ability to be the better quarterback. What he "might" be doesn't matter to me at this moment though. Not in 2017 because we don't have a "might" in 2017. What we have in 2017 is one of the best QBs in the league. It may not always sound like it, but I'm the same as you, Cliff. I love Teddy Bridgewater. And he should be darned near a hero. What he's gone through and come back from ... it's incredible. And if he ends up being the Vikings QB long-term, I'll be fine with that because he will have earned it. Even though Zimmer loves the guy like a son, I truly believe he'll only make Teddy the long-term guy if he earns it. I trust Zimmer. Right now, though, we're starting one of the best quarterbacks in the entire NFL, based on his recent performance. 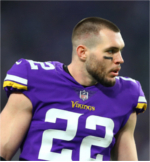 His last four games have only been matched in Vikings history over such as stretch by Brett Favre in 2009, who had an incredible four-game stretch in November of 2009. He's got to be the guy until he proves otherwise. Right now, I dont think anyone is saying to bench Case and play Teddy. At least I havent seen anyone post it. I havent even heard anyone say it in weeks. Case is on a roll, and doing very little wrong. Even Zimmer had to eat his words, and stay with the hot QB. 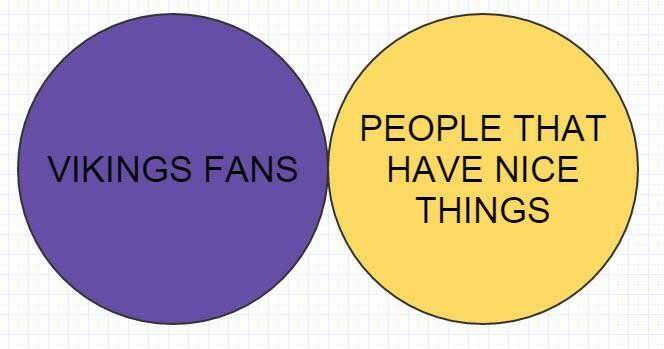 My posts have mainly been about it not being any more speculative saying Teddy could have the Vikings in the same position as Case has, then it is to say there no way Teddy could do the same thing. And then they bring up how Teddy did when he was the starting QB. Its almost an entirely different team. I do like Teddy, but im perfectly happy with Case doing well. If we can keep it up for December, we will surely be in the playoffs, and that what any fan wants at the beginning of the season. PurpleKoolaid wrote: Right now, I dont think anyone is saying to bench Case and play Teddy. At least I havent seen anyone post it. I havent even heard anyone say it in weeks. Case is on a roll, and doing very little wrong. Even Zimmer had to eat his words, and stay with the hot QB. My posts have mainly been about it not being any more speculative saying Teddy could have the Vikings in the same position as Case has, then it is to say there no way Teddy could do the same thing. And then they bring up how Teddy did when he was the starting QB. Its almost an entirely different team. I do like Teddy, but im perfectly happy with Case doing well. If we can keep it up for December, we will surely be in the playoffs, and that what any fan wants at the beginning of the season. I guess I'm just a little confused then. We're posting in a topic about why Case Keenum is doing awesome and deserves recognition this season ... where does Teddy come in if you're not talking about starting him this season? Cliff wrote: I guess I'm just a little confused then. We're posting in a topic about why Case Keenum is doing awesome and deserves recognition this season ... where does Teddy come in if you're not talking about starting him this season? I believe it's because of these posts in this thread and that no one except PurpleKoolaid had defended Teddy. Didn't Zimmer at one point last year or the year before basically say that he will sink or swim with Teddy? I'm pretty certain he did. With that said, maybe not cementing Case as the starter for the rest of the season is keeping him on his toes week to week. I agree, he should be named the starter, but in some odd way maybe he would become a little complacent. I don't care about feel good stories, or the fact that Teddy is a nice guy, I want the team to win and Case gives them the best opportunity this season. To plug a guy into an offense during a 9-2 season who hasn't played a meaningful game in ages in lunacy. He wasn't any good before, so I've never understood the optimism with Teddy (nobody has any idea of the after effects of the knee injury as far as mentally). I really miss Bridgewater's consistent 200 yard or less throwing performances with an average of 1 TD a week (or less) as a career average. Can't want to get him back in the lineup. All you Teddy lovers will get what you want because we won't resign Sam or Case and take Teddy on the cheap (with that said, whatever we do pay him it is too much). I would offer Case a 3 or 4 year extension right now. The Houston system was first installed by Dana Holgorsen and then added to by Kliff Kingsbury. Holgorsen is now the head coach at West Virginia and Kingsbury at Texas Tech. The Cougars generally played with four receivers, one running back and no tight ends. It wasn’t all quick read passes. Far from it. “Case threw short, midrange and deep,’’ Levine said. 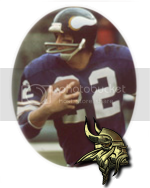 “He loved to throw deep, as you’ve seen with the Vikings. The fact that people are even mentioning Bridgewater is laughable. Keenum is the MVP of the entire NFL. mosscarter wrote: The fact that people are even mentioning Bridgewater is laughable. Keenum is the MVP of the entire NFL. I think using the term "laughable" is pretty inflammatory. Both guys are great QB's and Case probably deserves more MVP consideration than he's getting because he missed a game and a half of stats, so his league rankings are artificially low. But I think we all realize that the 2015 offense under Norv and with Adrian Peterson was not a QB-friendly system, certainly not for piling up TD stats, because Peterson was getting all the shots to score. And the offense was so boooooorrrrrrriiiinnnnnggggg and predictable. Shurmer has done an incredible job - maybe the best OC work since Billick, and Billick maybe was getting credit for the work of Moss, Carter, Reed, and Smith as offensive weapons, because he certainly couldn't reproduce that kind of offense in Baltimore. Reading between the lines, which you can disagree with if you want, Mike Zimmer seemed to early-on look for a reason to play Teddy. Maybe it was favoritism, but my thought was that Teddy actually looked a little better in practices. But Case is performing at a near MVP level in games, under pressure, with live rushers coming at him. And while Teddy is historically a great pressure QB, it's hard to imagine a Vikings QB playing better than Case is in this stretch of games against playoff contenders, especially with him knowing that one bad game could send him to the bench. Starting in your first NFC Championship game (God willing) would be incredible pressure for one of these guys, so knowing that Case (or Teddy, based on prior work) is passing that test with flying colors is pretty satisfying. Russel Wilson may have something to say about that. 808vikingsfan wrote: I believe it's because of these posts in this thread and that no one except PurpleKoolaid had defended Teddy. J. Kapp 11 wrote: You know what annoys me? Every so-called "expert" out there telling me it's simply a matter of time before midnight strikes and Case Keenum turns back into a pumpkin. I'm tired of people assuming that because he was a pedestrian quarterback for the Rams, he'll always be a pedestrian quarterback. I believe fully that if Teddy Bridgewater replaces Case Keenum at any point this season, we're finished. We will not win the Super Bowl. For one reason, there is no way that Teddy can get up to speed with this offense to the degree that this team needs to win a Super Bowl. Not in four weeks. But the biggest reason is that there is absolutely no way that Bridgewater can lift his play to the championship level Keenum has shown us over the past several weeks. As a matter of fact, Teddy has NEVER played at that level -- at any point in his career. Teddy Bridgewater would have to put up a 100+ QBR in 5 of his next 7 games just to equal what Case has done in his career. Now all of a sudden, after nearly two full years of not taking a single snap in a regular-season game, he's going to put up those kinds of numbers? I like Teddy. But the truth is staring us all right in the face. This has the potential to be Kurt Warner all over again, and you want to go back to Trent Green.